So I thought I would share this amaaazing lemon cake recipe with you, if I wasn't so lazy, I would be making this right now! haha. Add sugar, a tablespoon at a time, and continue creaming until light and fluffy. Add eggs one at a time, beating well in between each addition. Pour mixture into a greased 22cm cake tin and bake for about 45 minutes (depending on your oven) if a skewer stick comes out clean, it's ready! This cake is so delicious with butter icing, but I didn't have any icing sugar on the day I baked the cake in the picture, so I iced it with cooked flour frosting, which was really good too! 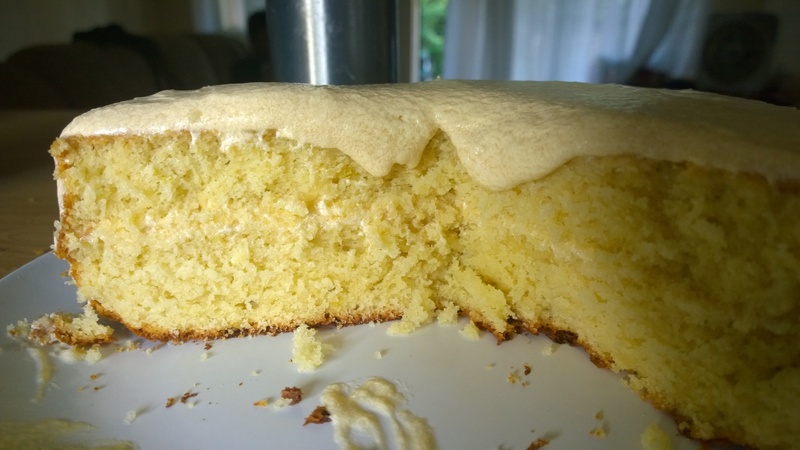 0 Responses to Best Lemon Cake - Ever!